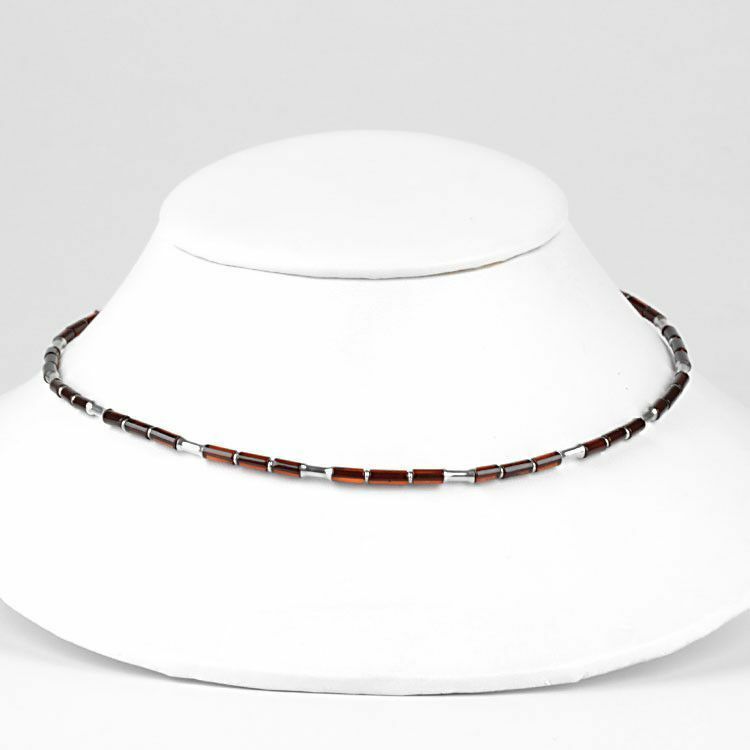 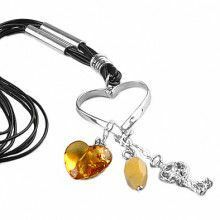 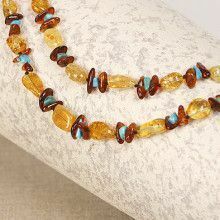 This sleek amber necklace features genuine Russian amber beads (approximately 1/4" long and 1/8" thick) and sterling silver bead spacers. 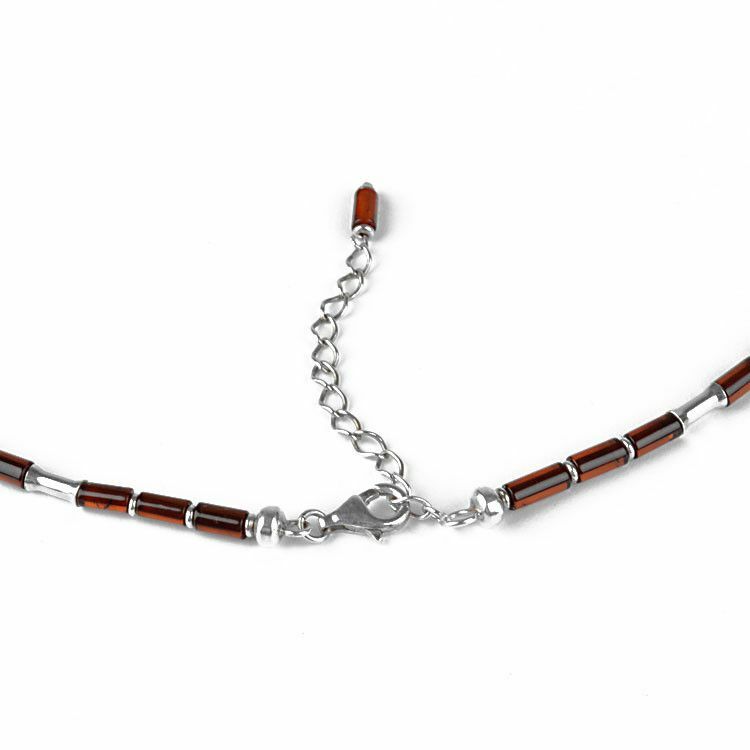 The necklace has a typical claw clasp, to be used on the 2" extension, allowing for a 18" to 20" necklace. 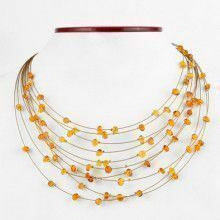 Great necklace for everyday wear; with or without other necklaces. 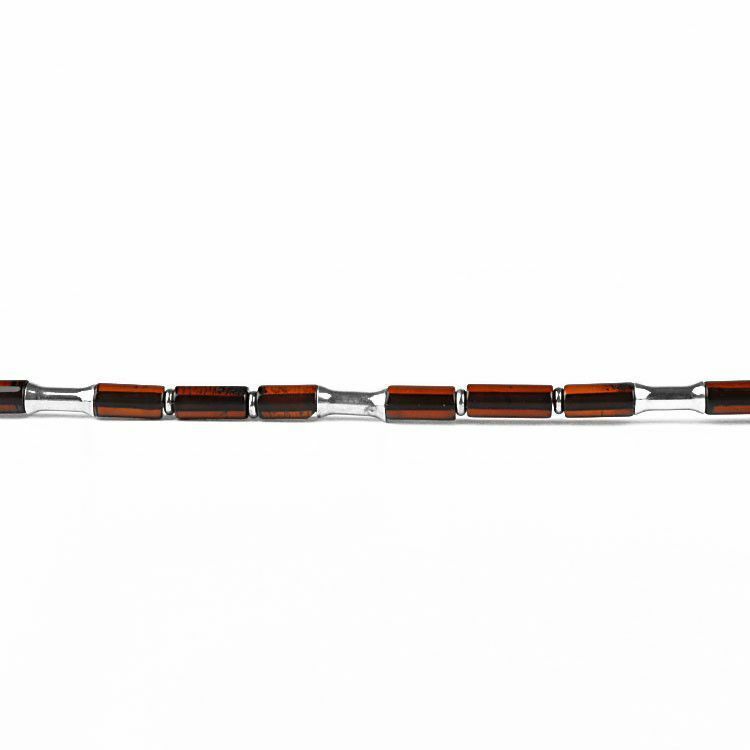 Measures about 18" to 20"